With recent crashes getting so much media coverage, it’s easy to be scared into believing that air travel is getting more dangerous. However, statistics reflect that air travel remains incredibly safe. In 2015, there were 560 airliner accident fatalities from 16 fatal airliner accidents. Of the 16, only five accidents resulted in more than 10 deaths — including three that received wall-to-wall media coverage: Metrojet 9268, Germanwings 9525 and TransAsia 235. While each of these accidents was tragic and troubling, 2015 proved to be the “safest year ever” according to the Aviation Safety Network. Since 1945, there have never been fewer fatal airliner accidents, and 2015 was the year with the fifth-lowest number of total fatalities. It’s not an exaggeration to say that flying has never been safer than it is today. That said, there’s a certain comfort in stepping on board an airline that has never had a major accident (or at least not in a long time). So, we dug into the aviation archives to find the airlines with the best safety records. Qantas has retained a flawless safety record — at least since 1952. Qantas‘ safety record is so famous that it was the counterpoint to the statement “All airlines have crashed at one time or another” in the 1988 movie Rain Man. In the 28 years since the movie, Qantas has retained its perfect record. Now, technically Qantas hasn’t had a perfect record. Qantas has had 12 fatal crashes in its history, including two shoot-downs during World War II. That said, all of the crashes occurred before 1952 and involved propeller-driven aircraft. Since then, Qantas has had a stellar safety record: no accident fatalities and no “hull loss” accidents — when the aircraft is damaged beyond economic repair. This is a incredible safety record for an airline that currently carries nearly 50 million passengers per year. Not only has Qantas had a flawless record for more than 64 years, but it’s also the reigning “world’s safest airline” for the third year running. Hawaiian Airlines has maintained a clean slate since it was founded in 1929. Here in the US, our gold standard is Hawaiian Airlines. Hawaiian Airlines — originally named Inter-Island Airways — has been in continuous operations since 1929 and has yet to have a single fatal accident or hull loss. This makes it the oldest US carrier to maintain this perfect record. This feat is incredible, especially when you consider how many crashes occurred during the decades of early aviation. While flying was glamorous in that time period, it was far from safe. Yet, through that entire period, Hawaiian Airlines safely operated its fleet. Even through financial troubles that led to two bankruptcies (1993 and 2003), the airline never compromised on safety. Hawaiian’s dedication to safety has earned it a well-deserved spot in AirlineRatings.com’s top 20 safest airlines for 2016. In 2015, the carrier safely delivered 10.7 million passengers to their destinations. TPG favorite JetBlue has maintained an excellent safety record since launching in 2000. Another US-based carrier with an excellent safety record is JetBlue. Despite a couple of widely reported landing gear-related incidents, JetBlue retains a clean slate; the airline hasn’t even tallied a single serious injury from an incident during its 16-year history. JetBlue made AirlineRating.com’s list of the top 10 safest low-cost carriers worldwide and ranks No. 11 on JACDEC’s safest airlines — the highest ranking of any US-based airline. In 2015, JetBlue operated more than 316,000 flights, safely delivering more than 35 million revenue passengers. None of the Virgin-branded airlines have had a major accident or fatality in their history. Although operating as three separate airlines (Virgin Atlantic, Virgin Australia and Virgin America), none of the Virgin-branded carriers have incurred a major accident in their 32 years of flying. And, there’s nothing to indicate that this record is in danger, as all three rank in the list of safest airlines for 2016. In 2015, the three airlines combined to safely deliver more than 35 million passengers across five continents. *Excluding airlines with fewer than 100 aircraft. Although Frontier has transitioned to a “ultra-low cost carrier” model, it has maintained an excellent safety record. US-based “ultra-low cost carriers” Frontier, Spirit and Allegiant have all yet to have a fatal accident. That said, their current safety situations vary widely. Although it ranks among the bottom in customer satisfaction, Frontier currently maintains a perfect 7-star safety rating from Airline Ratings and has yet to have a serious accident in its 22-year history. Spirit Airlines is somewhere in the middle. Over the past couple of years, Spirit has experienced a few airborne maintenance incidents, and the airline lacks an optional IATA Operational Safety Audit (IOSA) certification. However, Spirit has kept an accident-free record with an ever-growing passenger base. In 2015 alone, Spirit safely delivered nearly 18 million passengers — a 25% increase from 2014. Low-cost carriers Ryanir and EastJet have operated without a fatality or serious accident. 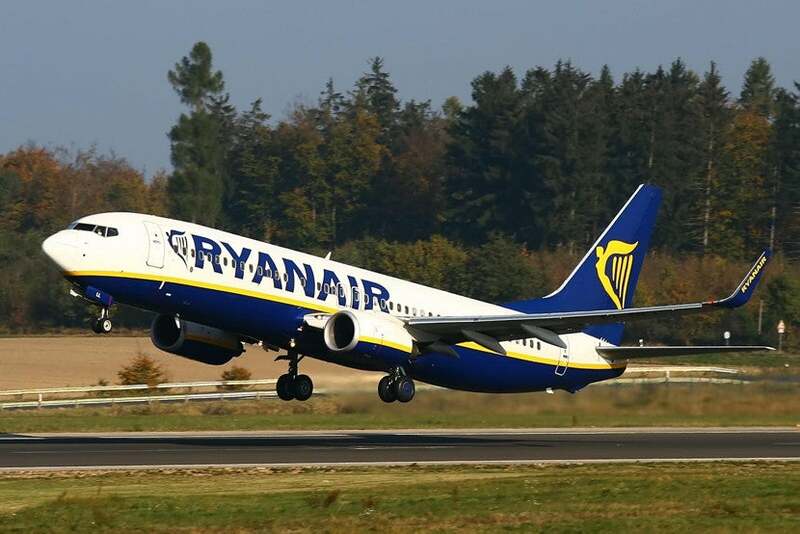 Image courtesy of Ryanair. When you hear “low-cost carrier,” you might wonder if part of the savings might come from skimping on maintenance. As is the case with the US ultra-low cost carriers mentioned above, you might be pleased to learn both Ryanair and EasyJet haven’t had a fatality. In fact, the worst incident I could find on either airline was an emergency landing required by a Ryanair flight after experiencing multiple bird strikes — the same cause of the “Miracle on the Hudson.” Although the plane was damaged beyond economic repair, there were just ten minor injuries from the incident. From 2011-2015, Ryanair safety delivered nearly 400 million passengers on 2.5 million flights, while in 2015 EasyJet flew 68.6 million passengers. Emirates has maintained an excellent safety record since launching in 1985. The so-called “Middle East Three” (Emirates, Etihad and Qatar) have retained safety records free of any major accidents. Each of the three airlines has experienced a potential disaster — from striking an object on takeoff to extreme turbulence — during the recent past, but each was able to avoid a major incident. And, there’s no reason to suspect that this will change. All three airlines make it into the top 8 of the JACDEC Airline Safety Ranking (No. 2 Emirates, No. 4 Qatar, No. 8 Etihad). Also, Emirates and Etihad are both in AirlineRating.com’s list of the top 20 safest airlines for 2016. During 2015, Emirates boarded 51.9 million passengers and Etihad carried 17.4 million passengers. Qatar Airways hasn’t released its 2015 passenger traffic publicly. Air Berlin is one of the many international carriers that has maintained an excellent safety record. Despite recent high-profile accidents, air travel is statistically safer than ever before. There’s no evidence that airlines like Malaysia or Germanwings are any less safe. But, if you’d prefer to travel on an airline that has maintained a clean safety record, there’s a long list of airlines to choose from! The original version of this article from June 2016 noted that Southwest Airlines had a perfect safety record for more than 49 years. However, as a result of the Southwest flight 1380 accident on April 17, 2018, the airline has incurred its first passenger fatality as a result of an accident. This ended the Dallas-based airline’s 50+ year perfect streak, and marks the first death of a passenger due to an accident on a US airline since 2009.